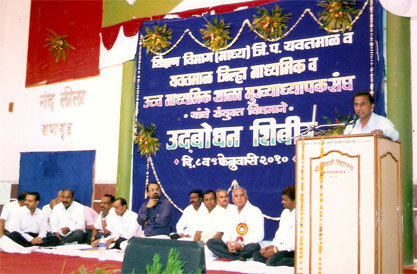 Dignatory on dias to present the hon'ble chief guest Shri. Laxmikant Pande Sir,( Dy. 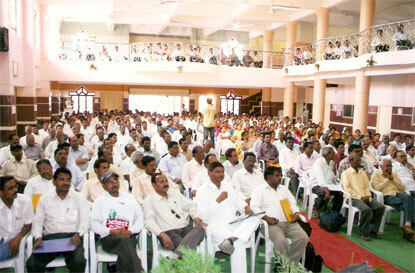 director education Amaravati. ), Shri. v.P. Patil sir, (Education officer Secondary) And Other guest, Prof. Gajendra Sarpati to give the guid line about emotional and educational develop fo teen age student, Dist- Yavatmal. In orientation camp present all secondary and higher secondary school Head Master, Yavatmal.